I am getting the sense that there’s a theme for me in Mumbai: when I want to do something, India often has other plans. And in the race between me and India, I’m usually not on the winning end. I wrote last night that Daniel and I were off for vacation. Unfortunately, we were paid a visit by the notorious Indian bureaucracy. They hadn’t met us yet and they surely wanted a day of our time. We got to the airport, checked in and then went to exit immigration. I was asked some questions and checked through – a new red 16th of June exit stamp started drying in my passport. But as I prepared for us to continue the immigration officer asked Daniel “Where is both your registration?” We explained that we had been told that we only needed to register for residency once we were going to be here for more than 180 days. Alas, we were wrong. In the wake of the Mumbai attacks, immigration has tightened up considerably (similar to the US after 9/11). And niceties that used to fly a year and a half ago are just not so anymore. Instead of falling asleep on Malaysian Air we were taken to Indian customs. We were at a stalemate. 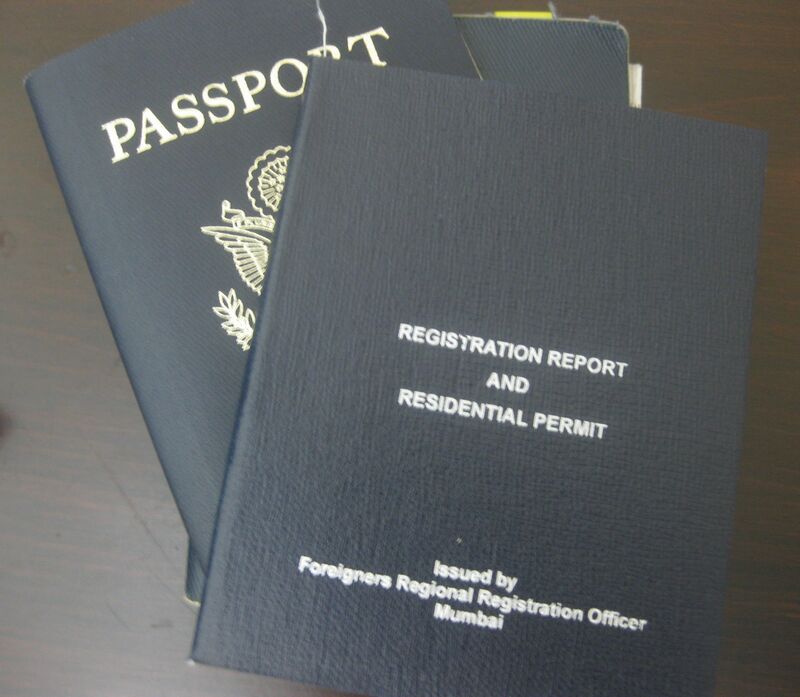 Our passports were looked over and discussions were had in Hindi while we sat. One Duty Officer talked on a red phone in the corner. Our officer continued to be disinterested. We tried to reason some more. Surely if we came back and registered it wouldn’t be a problem? Apparently it was. My passport was taken and a crisp CANCELLED was written across my new red stamp. We were done for the night. Dejected, we waited by Malaysia Airlines for our bags to come back to us. We sat on the floor like the pathetic losers we had been deemed to be – it was our own fault for believing what we had been told, and that was that. Our poor driver had had to return to the airport and wait for us to be freed, for our bags to come, and for Daniel to finally be able to rebook our tickets after circling through various parts of the airport with various guides giving us varying instructions. We got into the car exhausted and hoped to make it back to our guesthouse quickly. Late at night there apparently are no traffic rules in Mumbai and our driver merely honked at red lights as he went through them. We woke up the next day with a new determination to get our residential permit and so off we went to the Foreign Regional Registration Office. It was a madhouse. Lines were everywhere depending on what your purpose was. Luckily our line was inside the office in air conditioning. Even luckier that we weren’t from Pakistan, where a separate floor altogether awaited nationals from India’s rival who were trying to declare their own detente. Our room was like a world snapshot. In one corner an Eastern European woman tried to encourage her children to cry louder so there would be an incentive for their name to be called. In another, a woman in a burka searched through her fake Louis Vuitton bag to find her cell phone and start texting. Two older African women, held steady by canes and their feet resting on their bejewelled pink flip flops, kept entertained by whispering to each other and laughing. Daniel immediately made friends initially with some other expats while we waited. I watched a brightly colored 24 hour news channel celebrating its 1 year anniversary while breaking news banners played constantly at the bottom. Our names were called and I was asked to sign forms. “What is your occupation ma’am?” I was asked. I tried to explain that for my time in India my visa wouldn’t allow me to earn money so I didn’t really have an official occupation at the moment. “Housewife, then. You should have written housewife!”. And so it was done. We cut out passport photos and pasted them into various documents- arts and crafts immigration. Every page of our passport was examined. Other documents were needed and sent for. We went in and out, hours spent re-watching the news channel and observing the new people who walked in, wondering why each had come to India to make their life for the time being. Finally, we were given our Registration Report and Residential Permit. It was official – no turning back now. We are residents of India, perhaps because we have now been given our bureaucracy baptism by fire. And as residents I would dare say we are now allowed to go on vacation. But I won’t bet on it until I’m out of the country and sure that India has no other imminent plans for me yet.